Hours and directions. Camp American Canine dog / pet care services- Day Camp, Sleep-over Camp (Boarding), Camp Clip & Dip Doggie Day Spa (Grooming), Training and Retail. 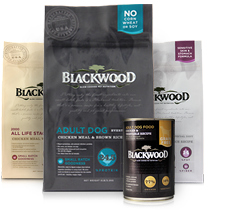 We are proud to carry a selection of super-premium, all-natural, grain-free, small-batch recipe Blackwood Specialty Dog Foods from Ohio Mills! Take Interstate 195 East to Exit 10 (Route 88 South / Horseneck Beach). Follow Route 88 South to the fourth traffic light. Take a right onto Hixbridge Road. At the stop sign take a left onto Main Road. Camp American Canine is exactly one half mile down Main Road on the left. Follow Route 77 through Tiverton past Nanaquoket Pond. Take a left onto Route 177. Proceed straight through the light and continue several miles until pass the ACE Hardware store on your right. Take the first right after ACE, onto Old County Road(Old County Road becomes Main Road). Stay on Main Road for approximately 5 miles until you see the American Canine sign on the left.